Ji Chang Wook never seems to stay away from the pages of magazines for long and he returns as the charming cover boy of the May issue of L'Officiel Hommes Korea. The accompanying editorial photographed by Do Kim Won titled The Healer of All features the dashing actor modeling urban chic looks by Dolce & Gabbana, Givenchy, Ermenegildo Zegna and Paul Smith. I'm not a particular fan of the cigarettes. 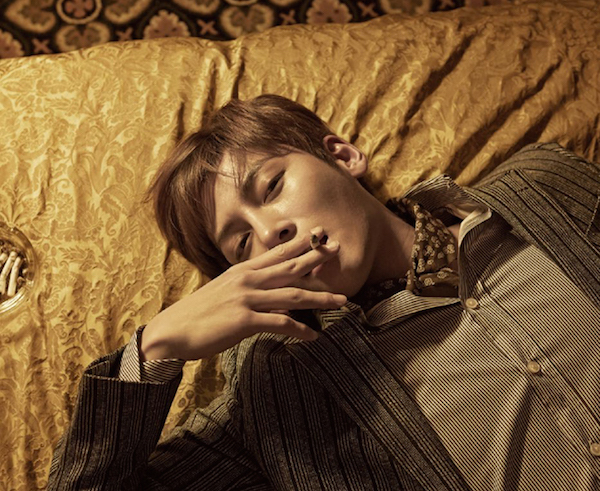 He definitely doesn't need to smoke to look smokin' hot but it does create a certain mood that is rather attractive. Chang Wook's career has been on an upward trajectory since his transformative performance as the titular character in The Healer. He hasn't chosen another K-drama project yet but he has been quite busy and recently made an appearance on the Chinese variety show Happy Camp. The clock is ticking on the derma e giveaway! One lucky reader can win a set of natural and organic beauty products worth over $100. I miss seeing him after Healer!! You are Very Smart But Smoking is very very bad habbit. Don't Mind. Stunning editorial with a fierce attitude. Have a lovely weekend. I like the bedroom shots. He should ditch the cig though. i love his hair!! is that crazy to say? Ohh, he definitely is an eye candy, Rowena! 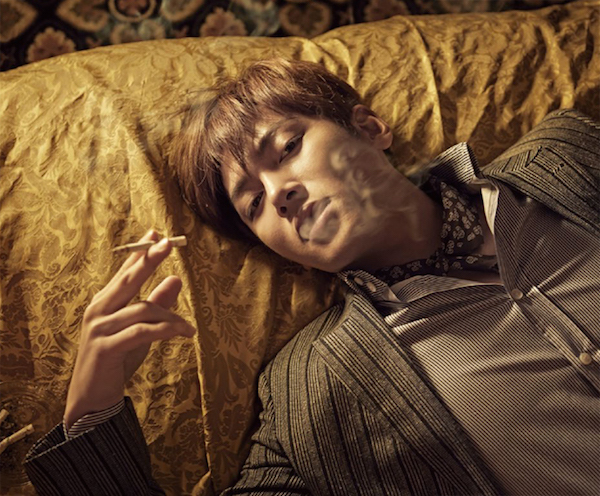 I actually don't mind the cigarettes, I think it made him look like a smouldering hot bad boy. Have a great weekend, Rowena! I agree with you, he definitely does not need the cigarette per se, but it certainly does create the mood--great photography and tone/styling too. I love the black and white shots the most. He is eye candy indeed....gorgeous man. He looks really handsome! I agree, the cigarette creates a unique style! Wow, this is such a beautiful editorial! Oh I love how they styled him for the London rude boy look and the smoky bedroom eyes, oh la la. Amazing editorial, great style.... he's handsome!!! he looks really good Rowena! i agree, he doesn't need a ciggy or shown smoking to look cool. lately i've seen an uptick in cigarettes being featured in editorials. i thought we got past all of that. disappointing. Wow, these shots are so amazing! He doesn't need to smoke to look cool, he's a cutie. Aw, totally love his hairs and style in general. Like! love this editorial so much!! 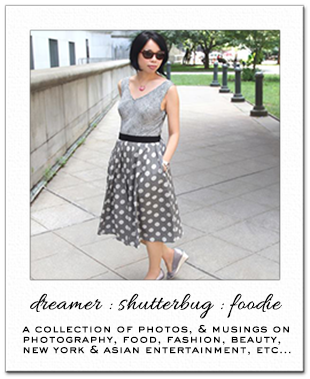 You and my sister will have so much to talk about, hehe =) Great pictures - love the black and white! 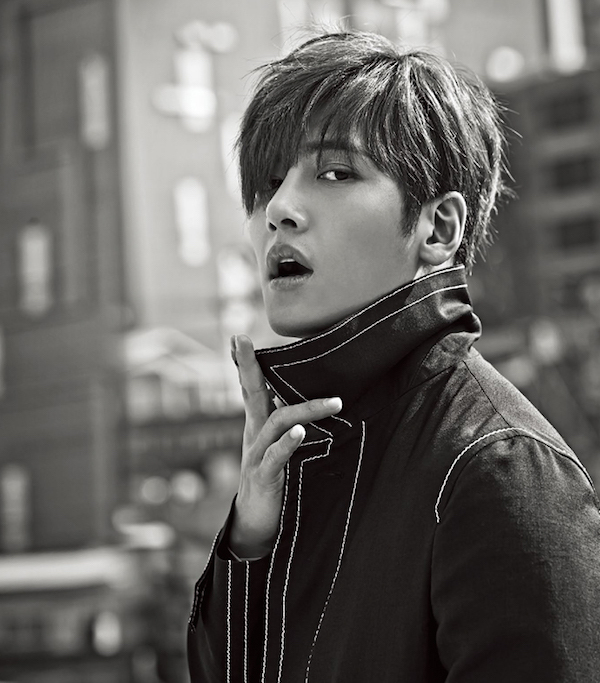 Ji Chang-Wook is an ultimate bae! Why the eff is he so hot?! I wish there were no cigarettes, TBH.